This is an optional ST Racing Concepts CNC Machined Aluminum HD Steering Link Set, and is intended for use with the Axial Wraith. 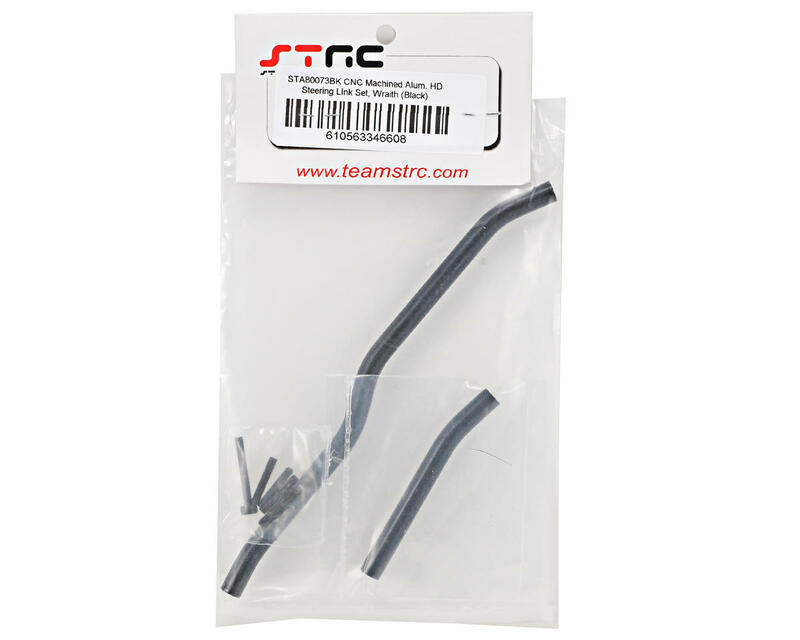 The stock plastic steering linkage on the Axial Wraith is a common weak point on the truck, as the stock pieces tend to be sloppy and weak in transferring the torque and power coming from the steering servo. 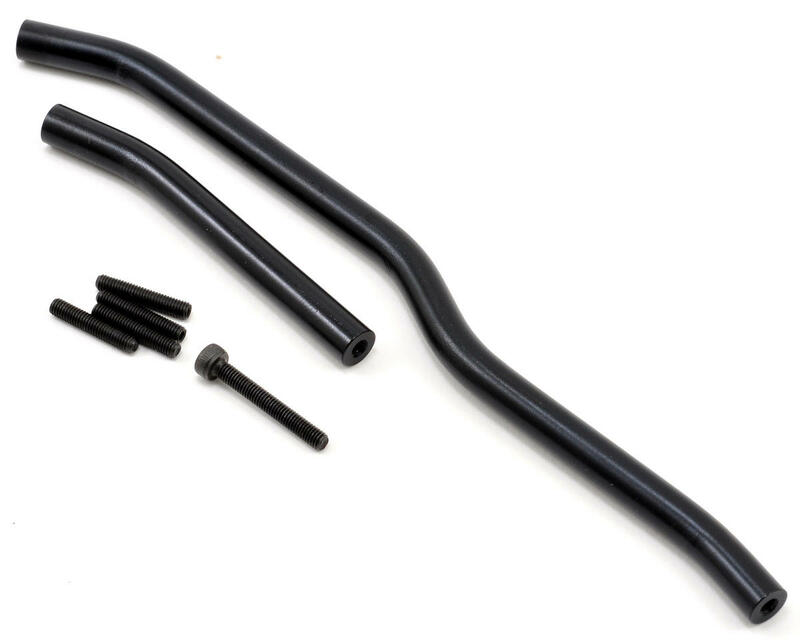 These CNC Machined Aluminum Steering links feature 7mm thick aluminum tubes for lower and upper steering links. The upper link features a slight bend that allows for all the power and torque from the servo to be transferred in a perpendicular angle to the arm of the knuckle to ensure no power is loss in the transfer. NOTE: Both the suspension link and steering link requires Axial turnbuckle ends (AXI80057) and the stock ball links from the vehicle.